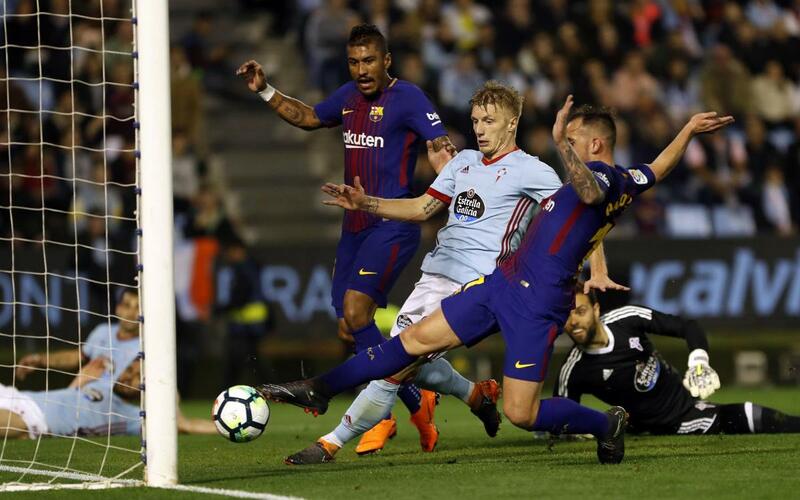 FC Barcelona continue to pick up points in their search for the league title as they took a draw from the tough away trip to Celta Vigo. The blaugranes took the lead in the first half thanks to Dembélé first goal in La Liga on 35 minutes. However, the home side levelled things up just before the break with a goal from defender Jonny. In the second a strike from close range from Paco Alcácer restored Barça's lead but a goal from Iago Aspas made the final score 2-2 in Balaídos. Catch all the action right here in our highlights video!